In conjunction with St Luke’s Hospice, saltash.net are working towards Compassionate School status. 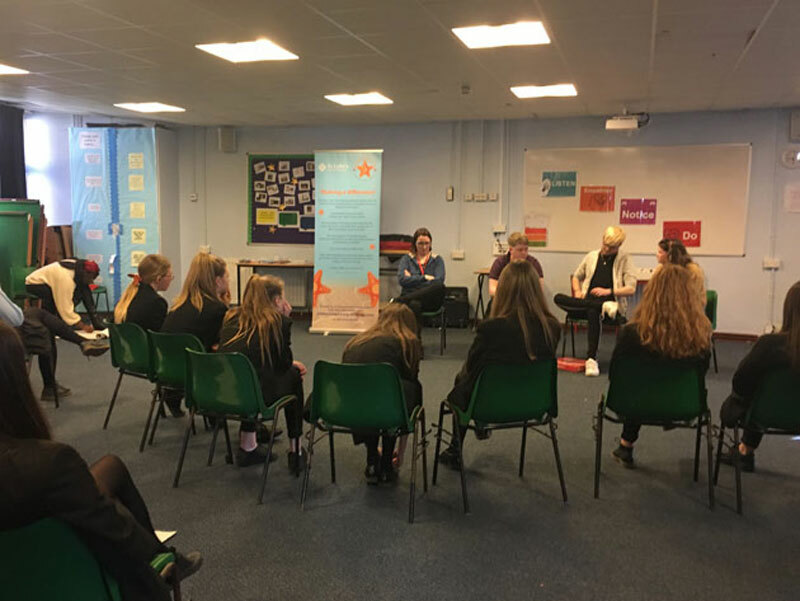 We have previously been involved in staff compassionate friend and champion training and the next target was to train some of the students in dealing with bereavement and supporting their peers. Twelve Plymouth University students, along with St Luke’s staff from the educational team, worked with a group of Year 9 and 10 students who delivered the Buddy training using Forum Theatre. Students were able to add their own input to ensure that the drama demonstrated how to effectively help someone when going through bereavement. Students represented the school fantastically, showing our core values of empathy and tenacity. The visitors were incredibly impressed with their contribution and their positive mature attitude.